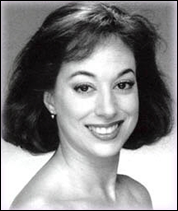 Beth Costigan joined our Cary Ballet faculty in the fall of 1997. She began her training with Chicagoland studios including the Ruth Page foundation and the Lou Conte Studio. She holds a BA in Theatre/Dance from Northern Illinois University where she was awarded a Talented Student Scholarship and an Outstanding Service Award. Beth has performed professionally with Chicago Repertory Dance Ensemble, Dancescape, The American College Dance Festival, The N.I.U. Alumni Company and most recently with the Harrison Dance Company in Atlanta, GA. Prior to moving to Cary, Beth was Assistant Director of the Ruth Mitchell Dance Theatre in Marietta, GA. for three years. Beth now lives in Cary with her son Jack and her daughter, Grace. She has been a wonderful asset for Cary Ballet, teaching over the past twelve years and has remained an active leader in all aspects of the conservatory and the company. In early February 2011, Beth received her Pilates Mat Certification from "Power Pilates". She Beth is especially recognized for the numerous outstanding original works she choreographed for our Cary Ballet Company.